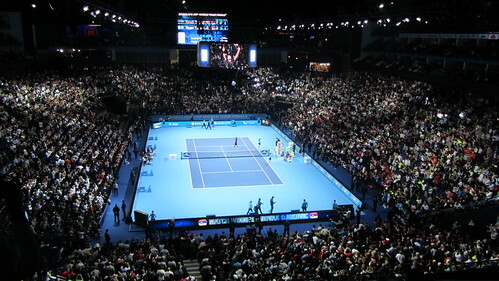 The 2013 ATP World Tour Finals will be held at London’s O2 Arena on November 4-11. With eight places up for grabs and just three filled to date, the world’s tennis elite continue to fight it out to secure the remaining places. In this article we take a look at the leading contenders to make the finals and predict who could walk away with the trophy. Rafa Nadal has been the success story of 2013 – despite a shock 1st round exit at Wimbledon, the charismatic Spaniard has clinched French and US Open titles and appears almost unbeatable at present. His emphatic victory against world number one Novak Djokovic in New York was possibly the performance of the year. Defending champion Djokovic remains a strong contender, retaining his top ranking spot despite losing in two Grand Slam finals. Britain’s Andy Murray completes the trio of qualifiers to date, and has had a stellar year, adding the 2013 Wimbledon crown to his 2012 US Open title. However Murray’s persistent back injury resulted in him opting for surgery to try and put an end to the complaint, which means he will not be fit enough to play in this year’s tournament. Federer has captured the ATP Tour Finals crown a record 6 times, and who would back against him making it 7? He’s not had his best year in 2013, he failed to make the quarter finals at both Wimbledon and Flushing Meadows, the first time he hadn’t made this stage of a Grand Slam tournament since 2004. However, his record in major championships and particularly indoors is second to none and he remains a crowd favourite. Current world number three, Ferrer has captured 20 career titles, and would be a potential world number one in any other era. The 2007 runner up reached his first major final at the French Open before succumbing to an inspired Nadal, and looks certain to qualify for the London event. Argentina’s Del Potro has risen to world number five, and is another tough competitor. He remains inconsistent though, and despite reaching the semi-finals at Wimbledon, as well as a recent triumph indoors over Federer in Basel, he has something of a patchy year. He remains the only player to have beaten both Nadal and Federer at a Grand Slam, when he won the US Open in 2009. 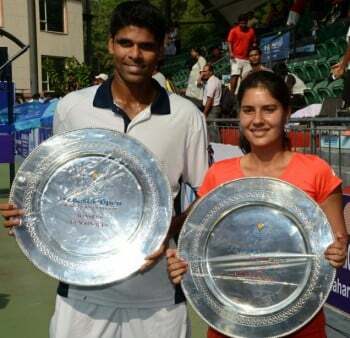 He was also runner up in the Tour Finals in 2009 but probably remains an outside bet. Another who looks certain to qualify, world number seven Berdych has competed at each Tour Finals event since 2010. The tall Czech hasn’t progressed beyond the QFs of any Grand Slam event in 2013; he has beaten Federer and Murray this year, and played consistent tennis throughout, but is unlikely to challenge in London. Swiss number two Wawrinka sprang a major upset at the recent US Open, eliminating defending champion Andy Murray in straight sets. A solid competitor on the tour for several years, Wawrinka is bidding to reach his first Tour Finals event where his powerful strokeplay could cause an upset. US Open semi-finalist Gasquet has had his best year since 2007, and is an outside bet to qualify for London. The Frenchman is experienced at the highest level but lacks the all round game to consistently trouble the top four. Fellow Frenchman Tsonga was a finalist in London in 2011, and had a great start to 2013, reaching the French Open semi finals. The second half of the season has been plagued by injury and he is likely to just miss out on the final spot. The ATP Tour Finals event is set to be hotly contested and while it’s impossible to dismiss Djokovic and Federer completely, the resurgent Nadal appears favourite to clinch the crown. This article was produced by Keith Prowse – a leading sports hospitality provider. Encourage Children to take up Tennis without the Strawberries and Cream!